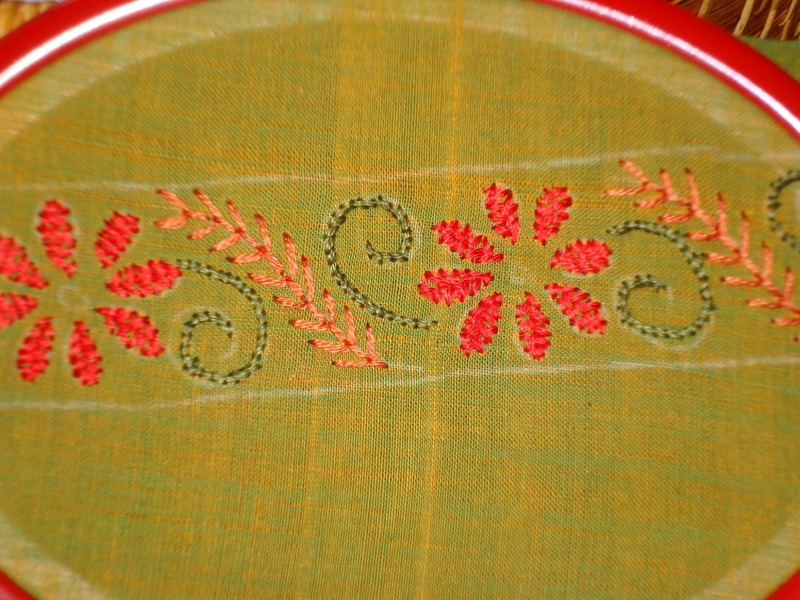 After the embroidery was completed, golden colour beads were added on the fly stitches. 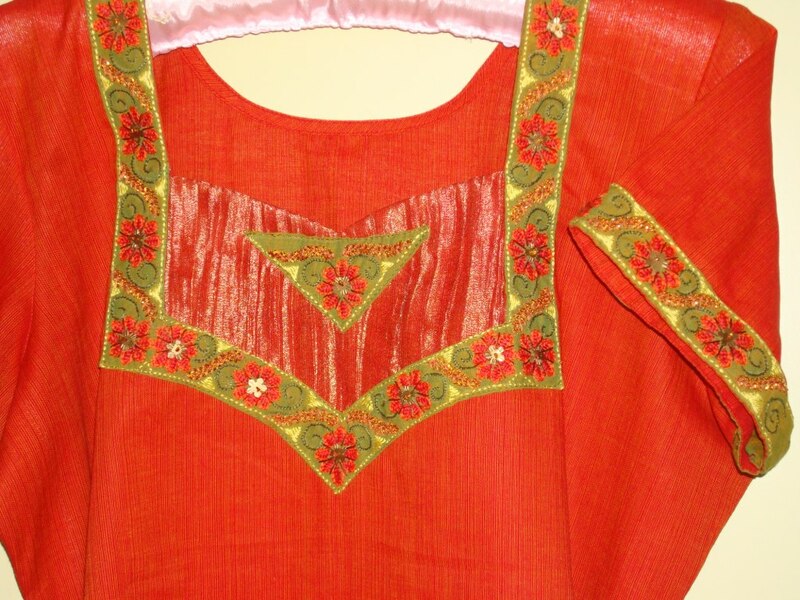 These are details of the embroidery on yoke and sleeves of a red tunic. 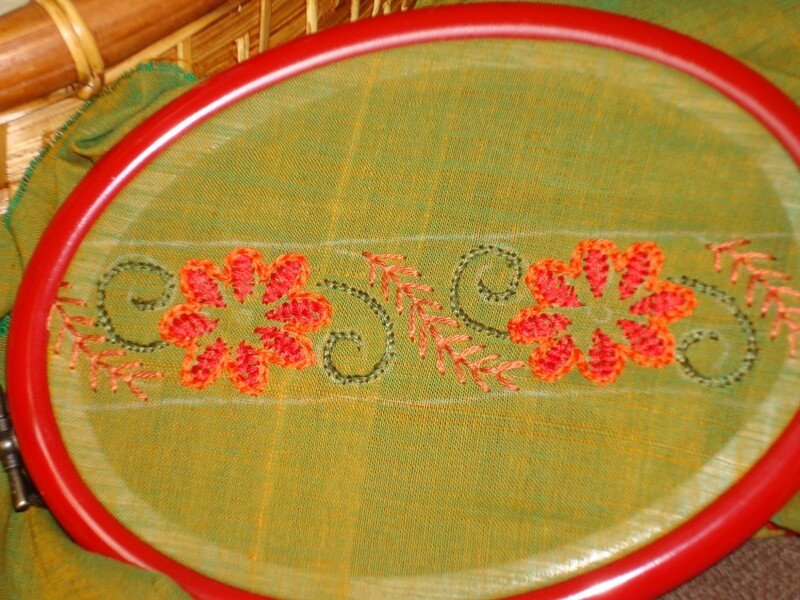 The whole embroidery was worked in three strands of cotton skeins. All these days I have been writing posts only on TAST challenge. So this post is to break away from that routine. 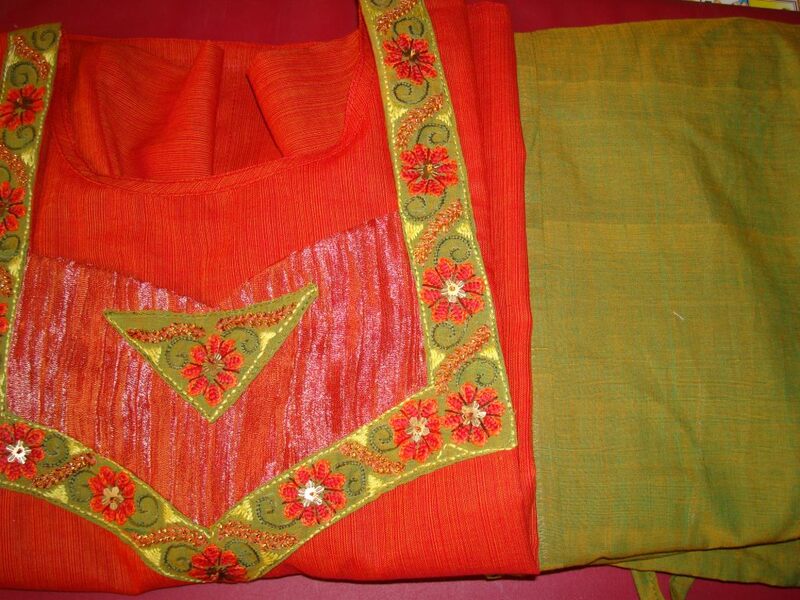 The fabrics of this tunic set are handloom cotton. 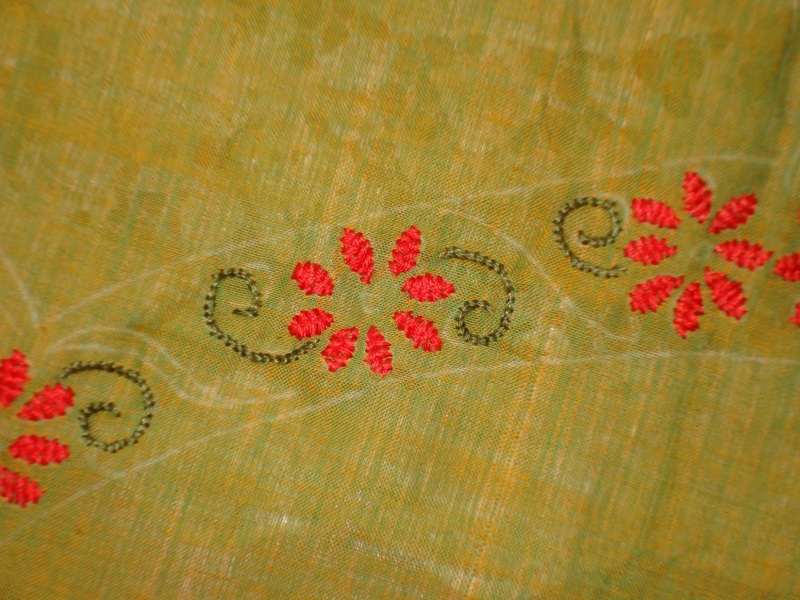 The top is striped mangalagiri cotton in red . 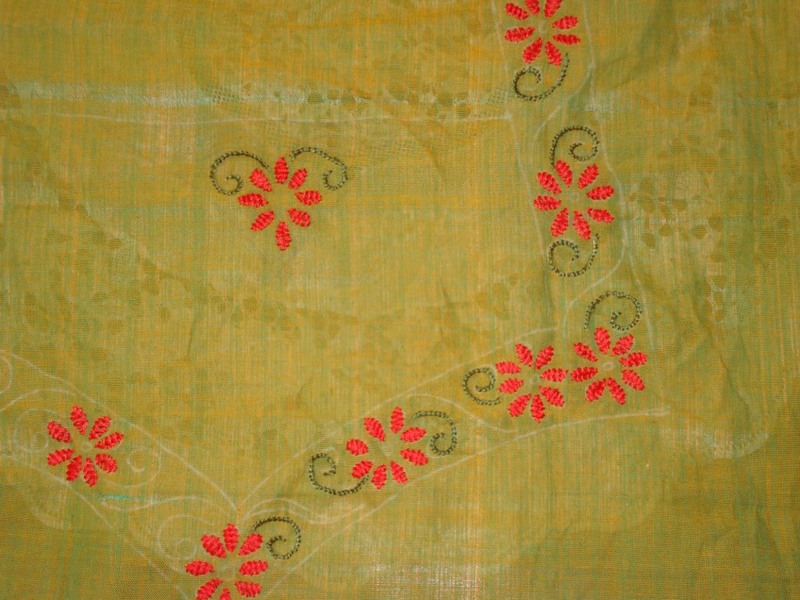 the salwar is also mangalagiri cotton in double colour [green and yellow]. 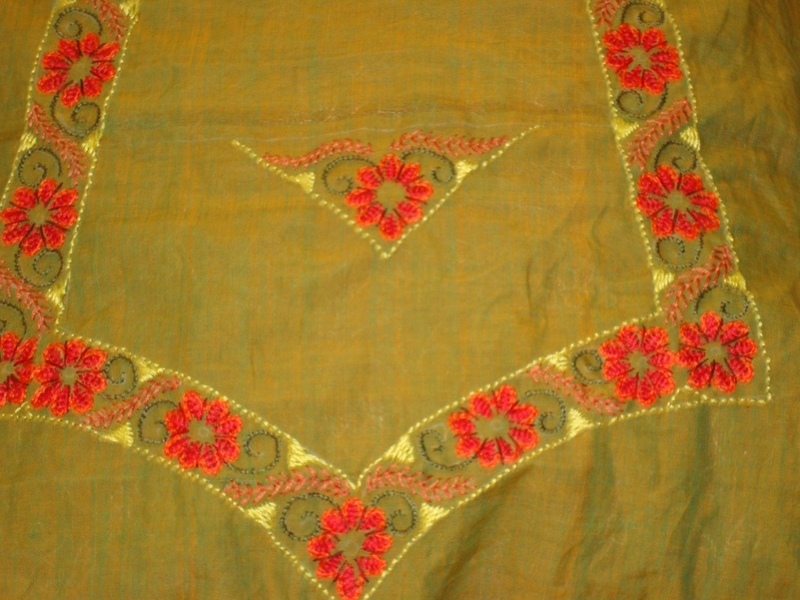 The same salwar[Indian pants] fabric was used for the embroidery on yoke and sleeves. The stitches used were, herringbone, stem, fly stitch and chain stitch. Beads were added in the end.